Snack brand's activation will feature 2018 Dancing on Ice winner Jake Quickenden. 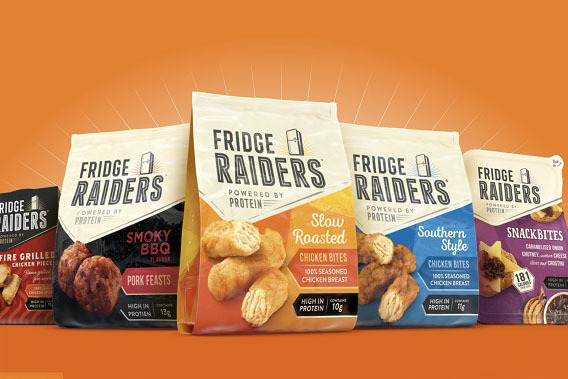 Fridge Raiders, the snack brand owned by Kerry Foods, is running a series of exercise classes including dance, circuits and obstacle course workouts. "Power play" will consist of 45-minute evening sessions between 5 and 8 February, hosted by personal trainer and fitness influencer Emily Furey. 2018 Dancing on Ice winner Jake Quickenden will also make an appearance. Fridge Raiders is using the activation to help "the 50% of Brits whose fitness-based resolutions are long broken get back on track". The brand will also promote its snacks, which it says contain "energy-boosting protein". PR agency 3 Monkeys Zeno is working with Sketch to deliver the activation.